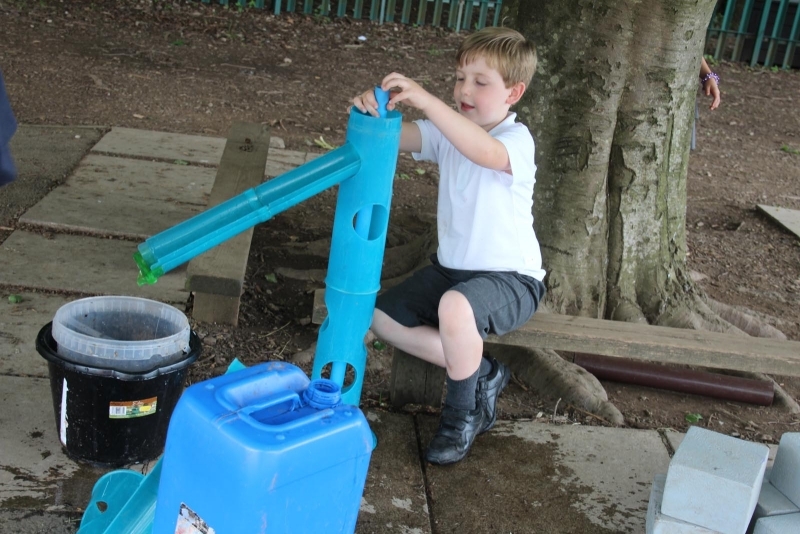 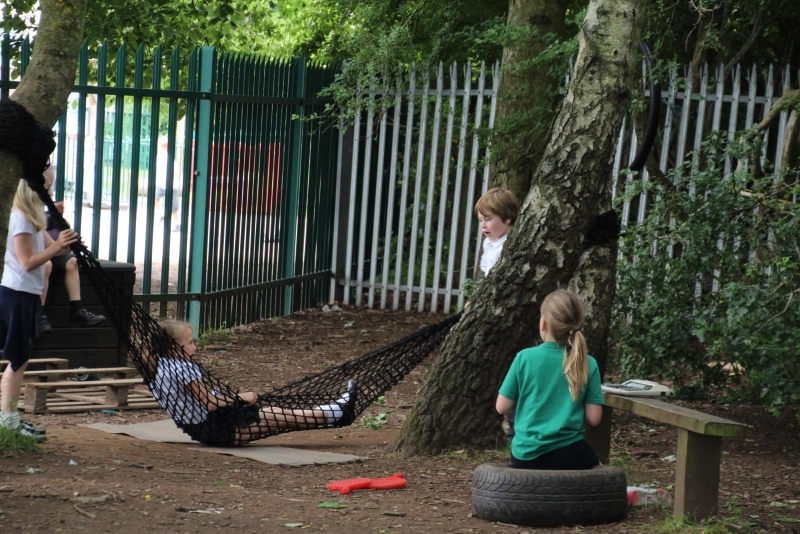 We believe play is vital to the health and well-being of the children and we do our best to ensure they enjoy their break times as much as possible. 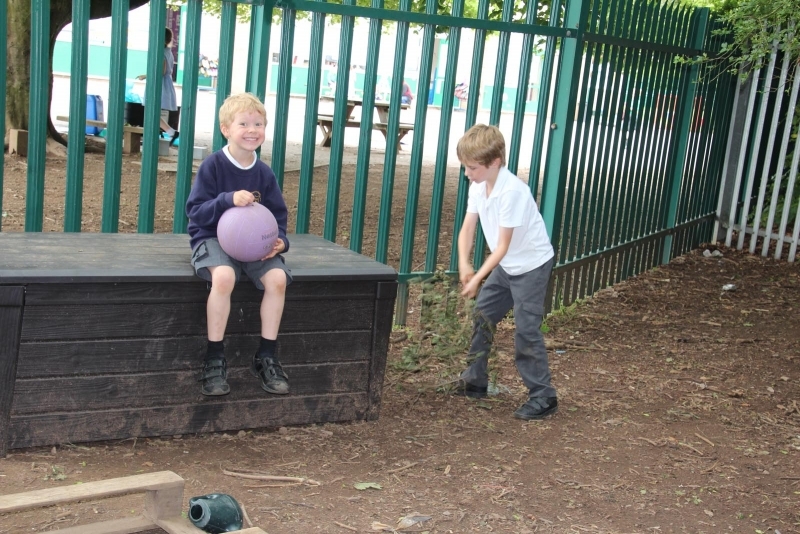 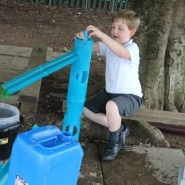 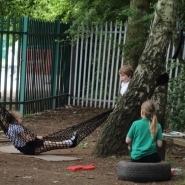 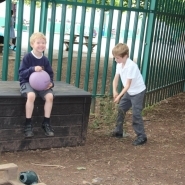 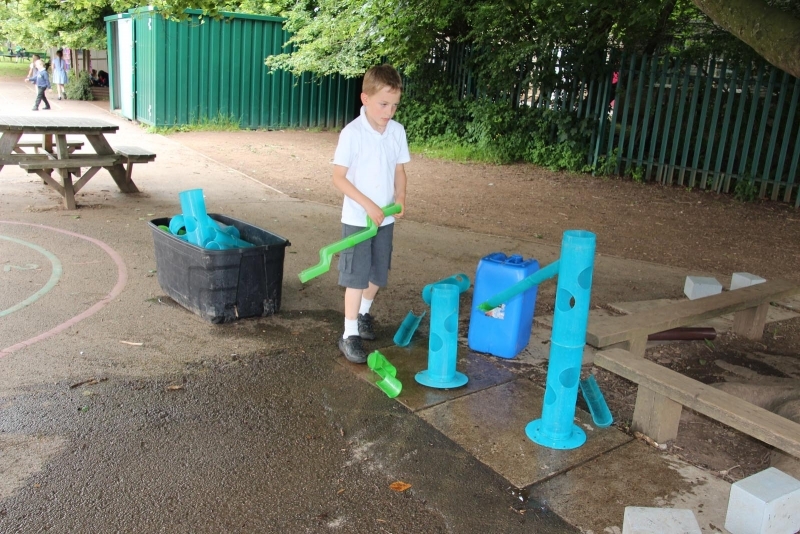 The lunchtime break is a great time for the children to really come into their own with play and adventure. 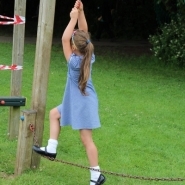 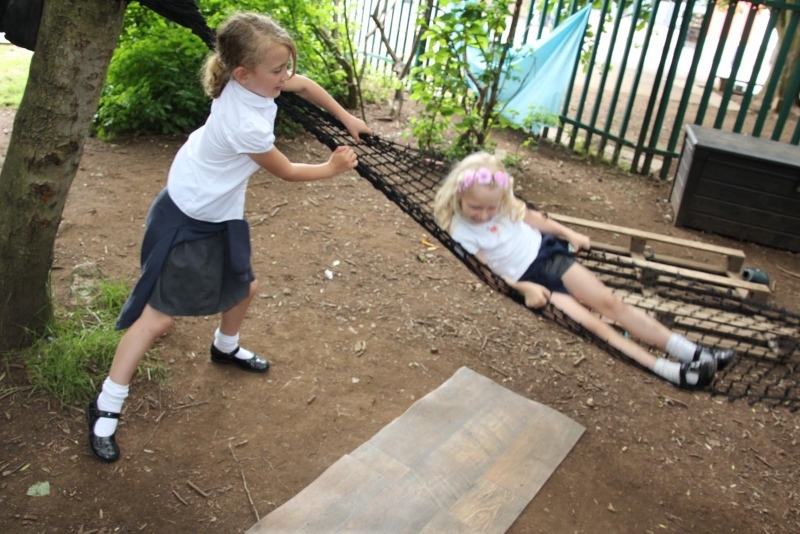 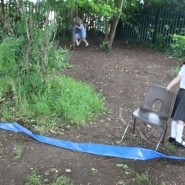 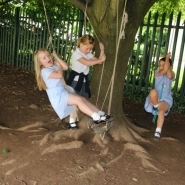 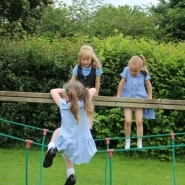 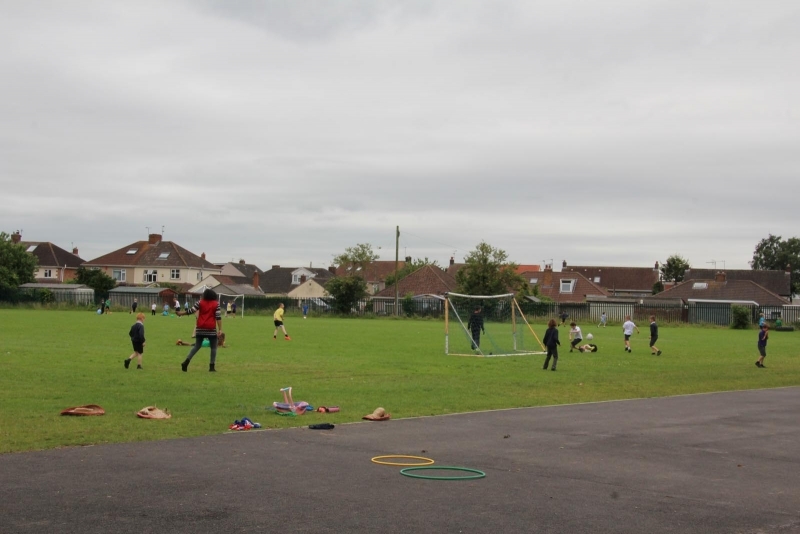 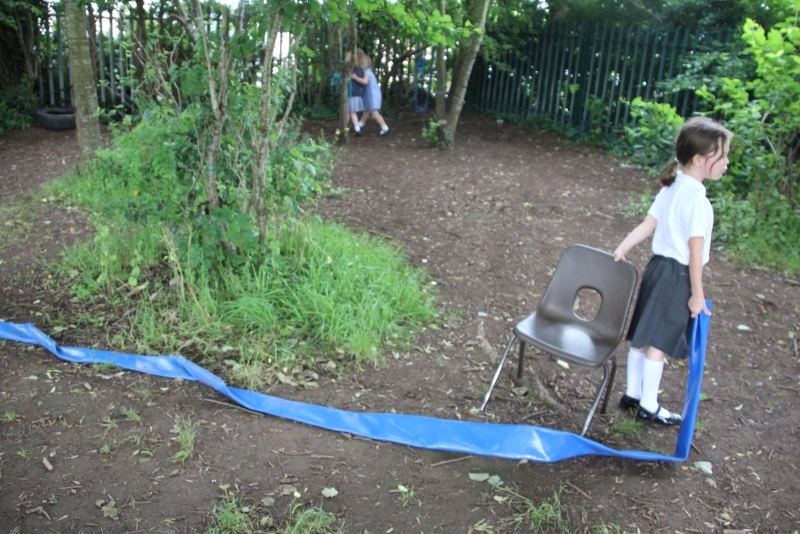 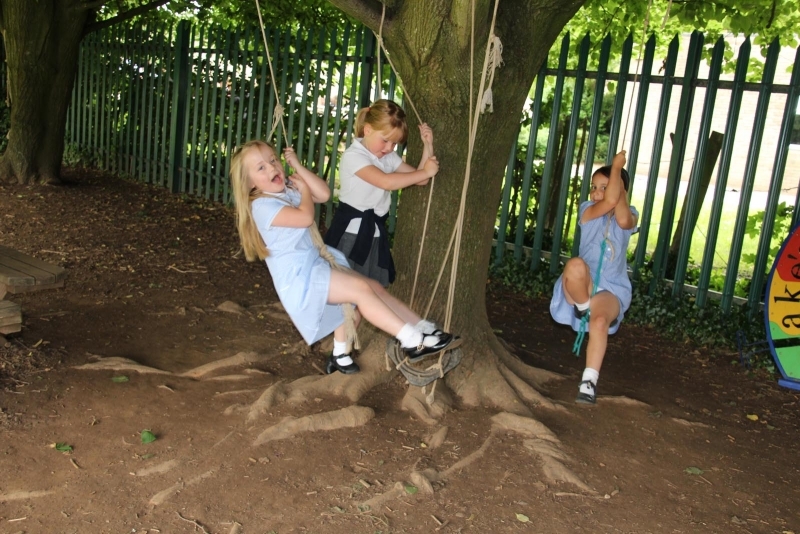 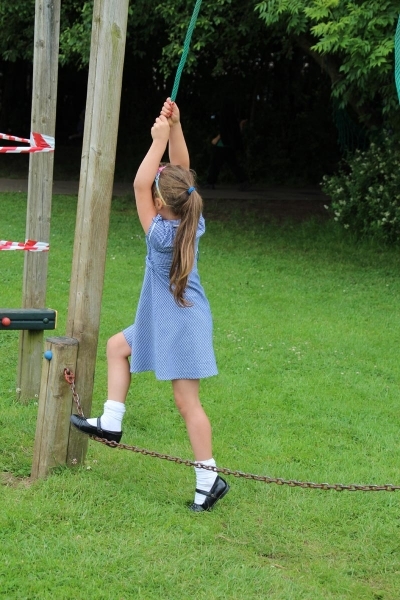 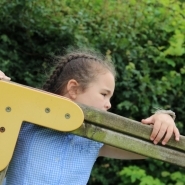 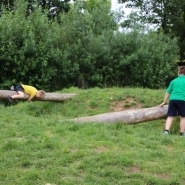 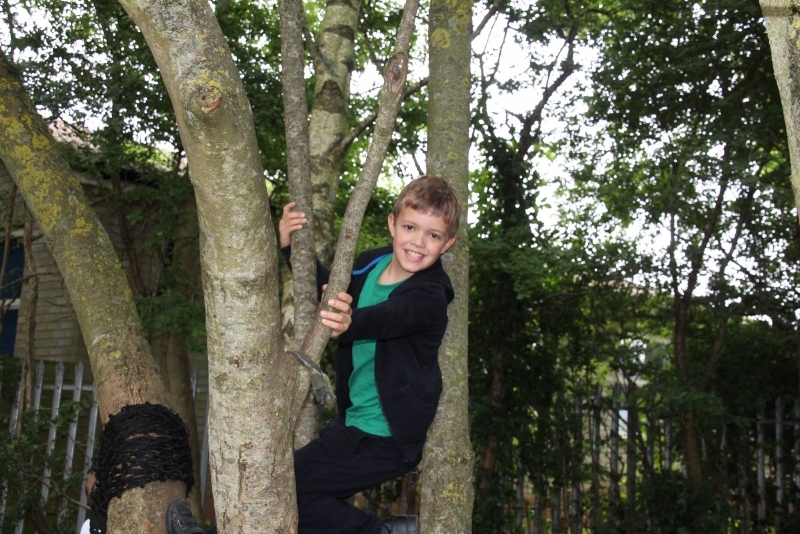 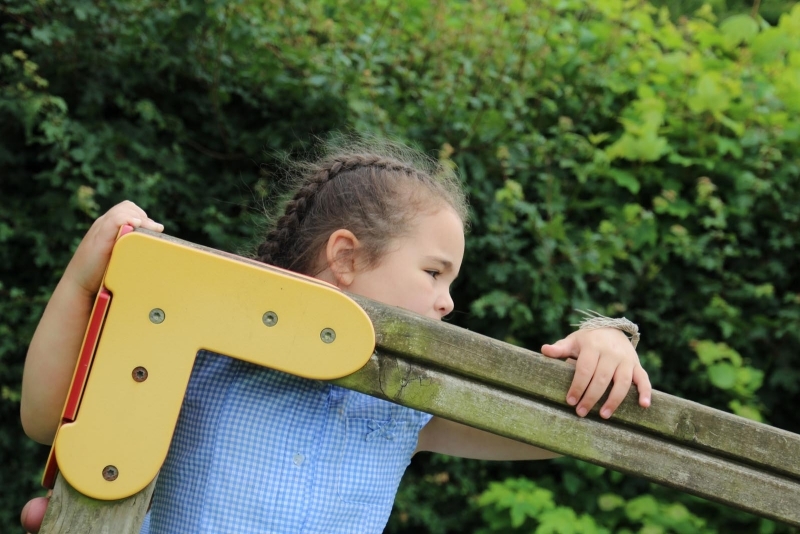 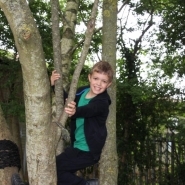 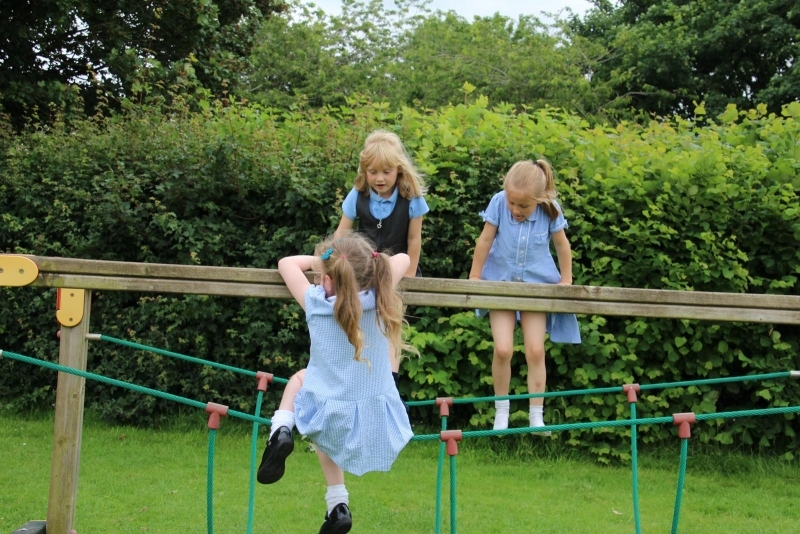 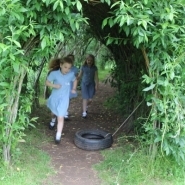 Our extensive school grounds provide lots of opportunities for children to run, hide, roll and climb! 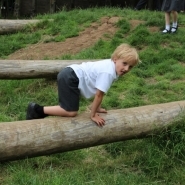 A little copse in the conservation area is a hive of activity with den building, tree climbing and wildlife exploration. 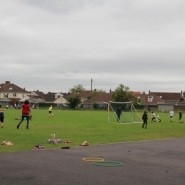 On the field the children can play football and lots of traditional games including hoops and parachutes. 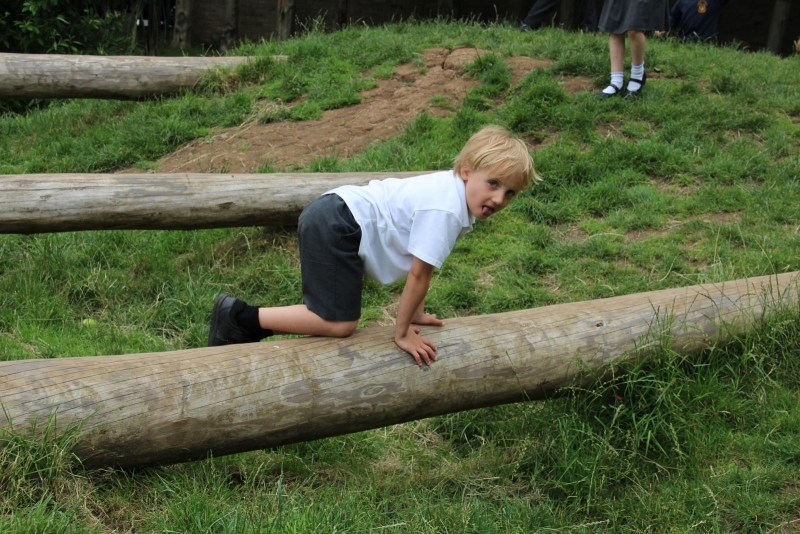 On the other side of the field we have the magnificent mounds that the children can run, skip and roll down. 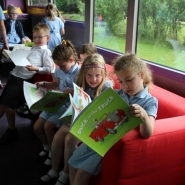 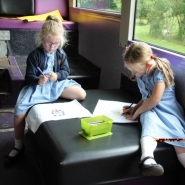 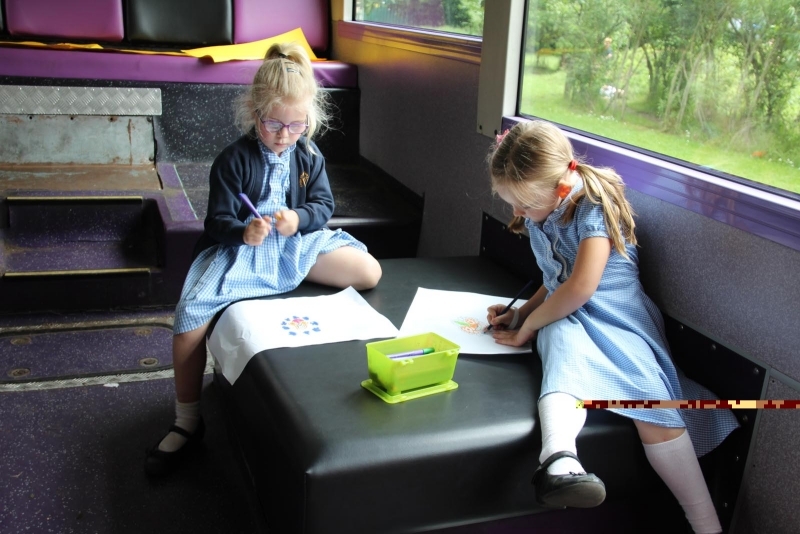 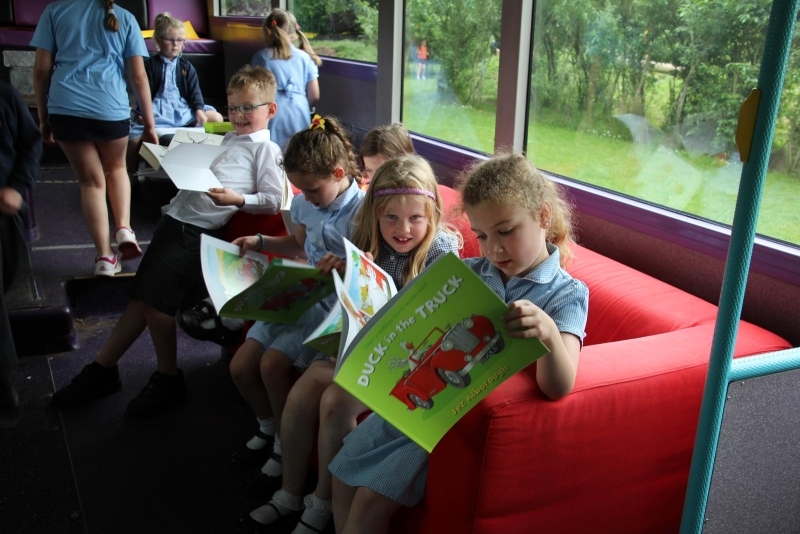 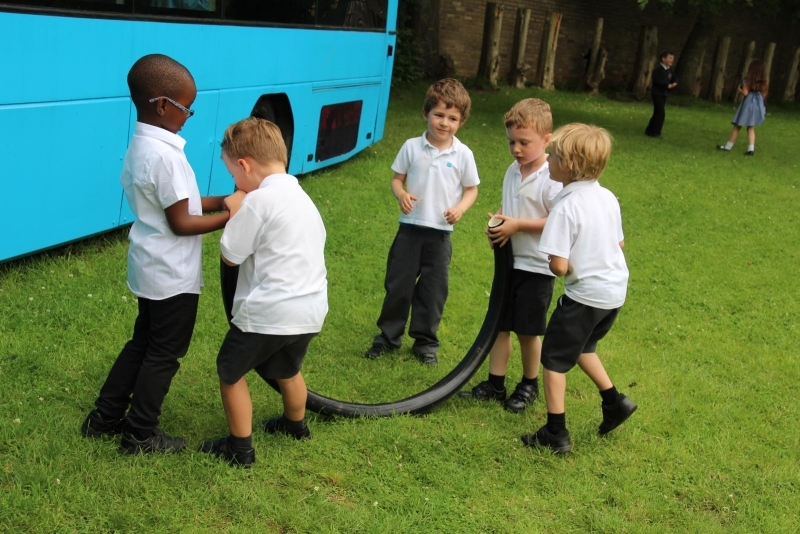 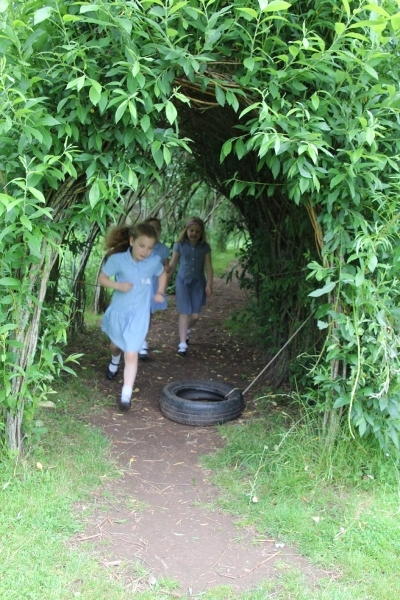 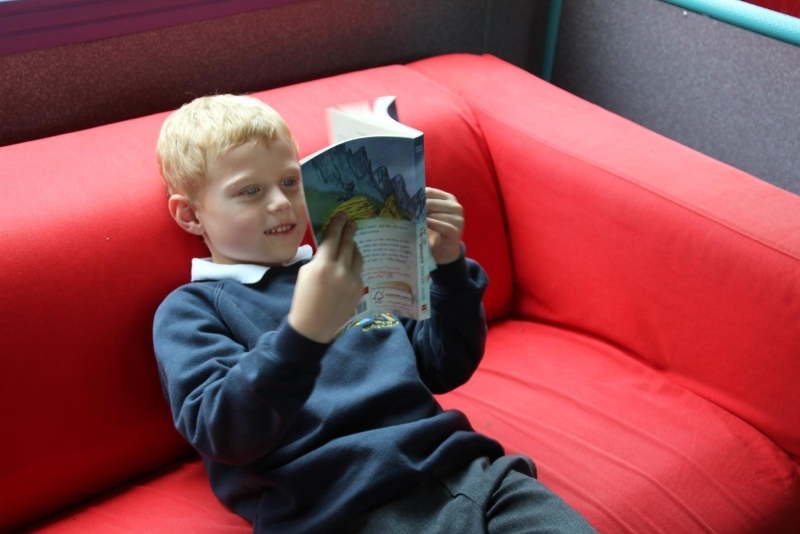 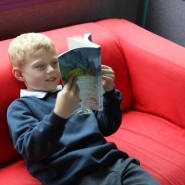 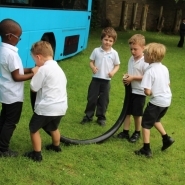 The willow tunnel is always a great place to be along with the reading bus, which provides a great place for the children to chill out with their friends. 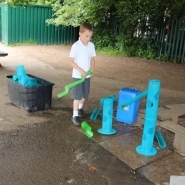 Dressing up clothes are available for those make believe games children love to play as well as the ever popular mud kitchen and café. 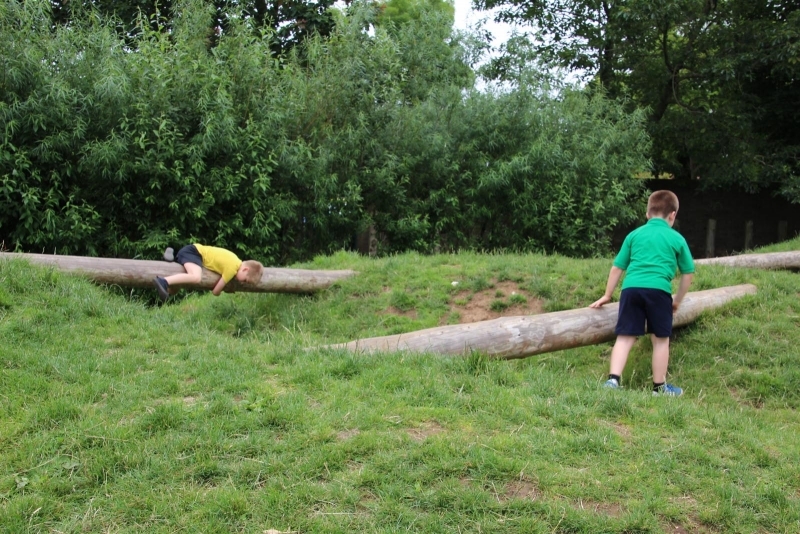 This is one of the favourite past times, so if your child is a little muddy when they come they’ve probably had a great day!